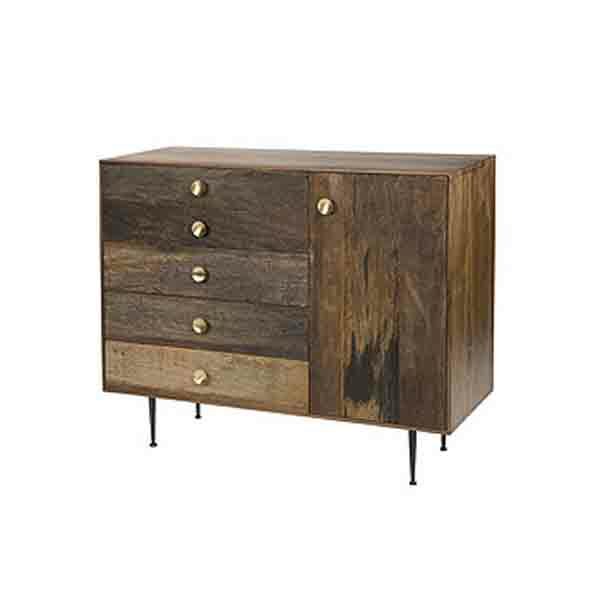 The Lexy Chest meshes retro with modern to give you one uniquely remarkable chest for your bedroom. 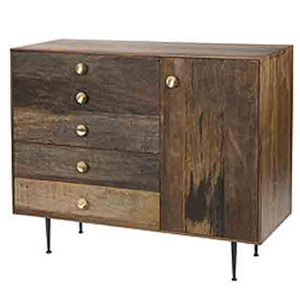 Completely handcrafted out of exotic demolition hardwoods, this chest is built to last years of use. We take reclaimed wood that has been toughened from decades of weathering nature’s elements and bring it back to life to give you furniture with a unique style. This chest offers 5 side drawers with round chest knobs made from white oak, and a large cabinet for even more storage space. Its four long legs elevate the entire chest to make cleaning easy and the chest a pivotal element to your bedroom design.